Please share your information so that we can inspire others by highlighting the wonderful things our alumni have accomplished! We plan to use some of the responses on our website and within other promotional materials. 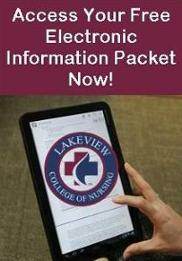 How do you feel about Lakeview College of Nursing?